What’s west of weird? 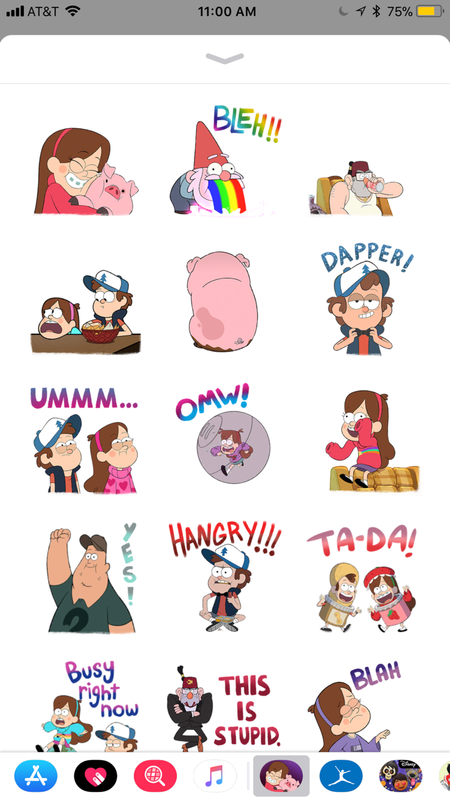 A NEW pack full of 24 animated Gravity Falls stickers! 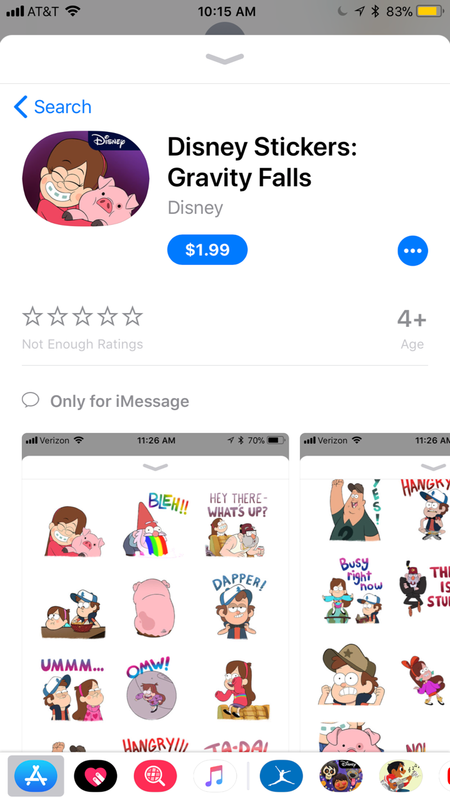 Send messages with stickers featuring Mabel, Dipper, Soos, Grunkle Stan, Waddles and MORE! Get tangled up in big dreams and new adventures! 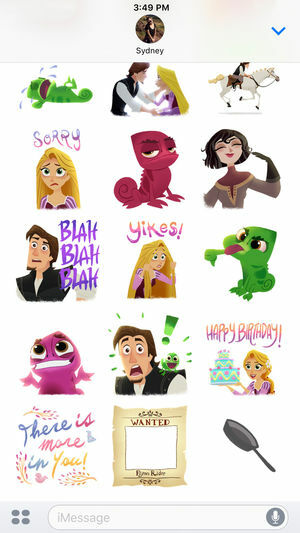 Add magical hair to your messages with this new Tangled: The Series sticker pack that includes barefooted Rapunzel, smoldering Eugene, silly Pascal and more! Discover special accessories like Rapunzel's Frying Pan! 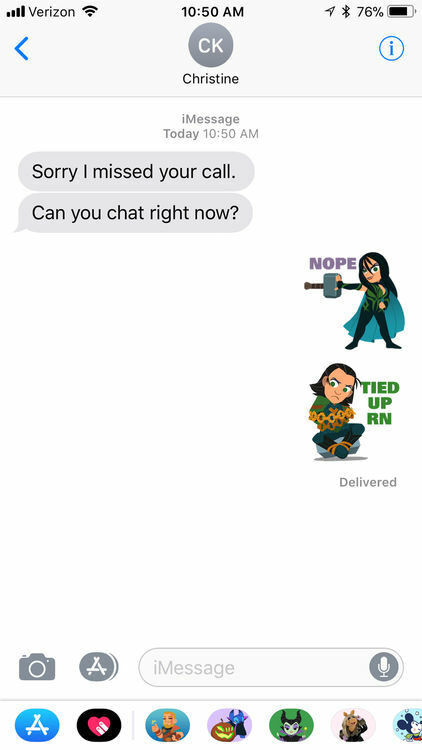 Animation for multiple stickers; includes addition of animated, stylized text, as well as reworking show assets and timing of animation to fit the Apple iMessage stickers format. 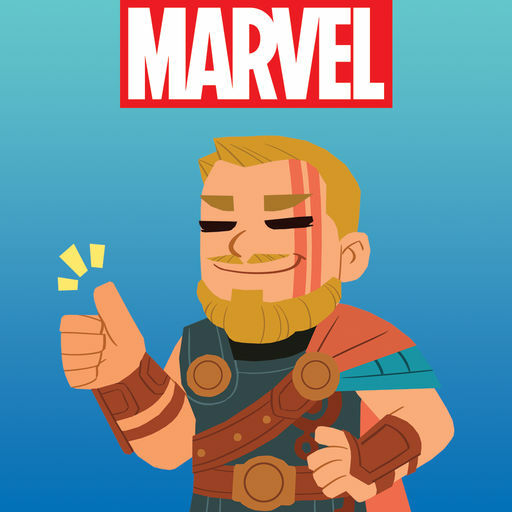 Grab your hammer and cape because a NEW Thor sticker pack is here. 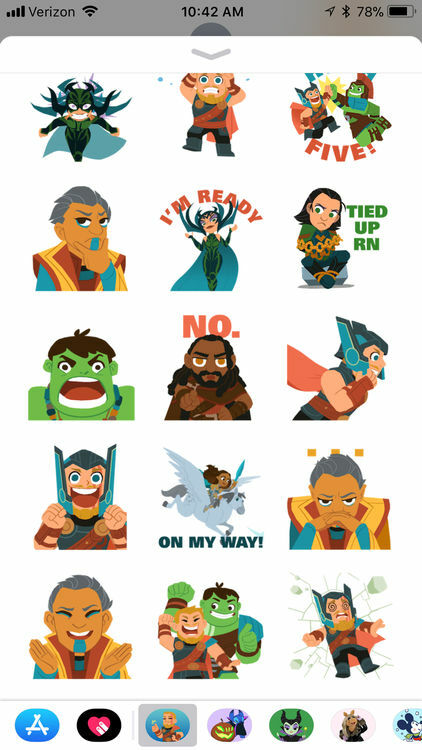 Make your messages superhero-sized using 21 animated stickers featuring Thor, Hulk, Valkyrie, Loki and more! 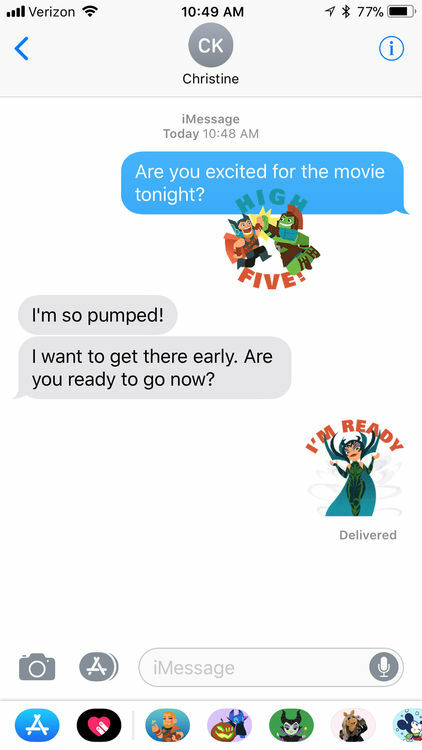 Animation for multiple stickers; includes timing of animation to fit the Apple iMessage stickers format. 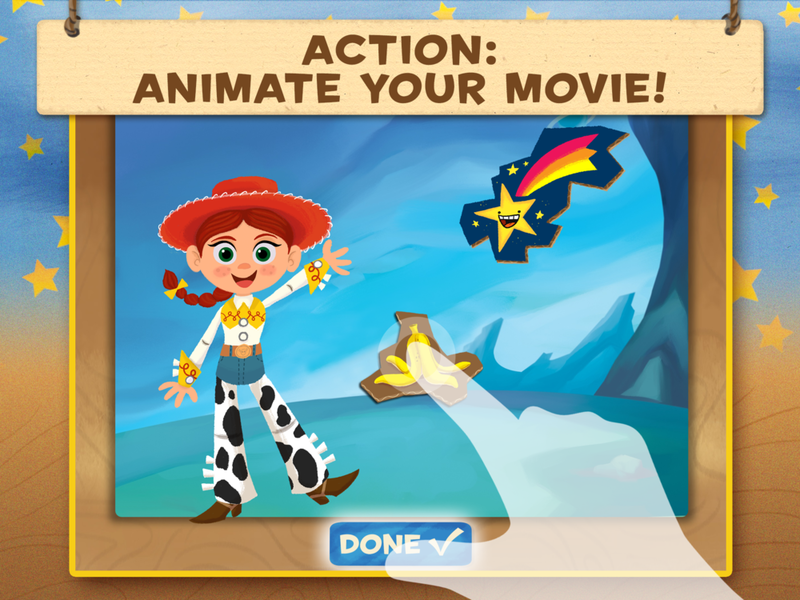 Beloved Toy Story characters are ready to star in your child's movie masterpiece. 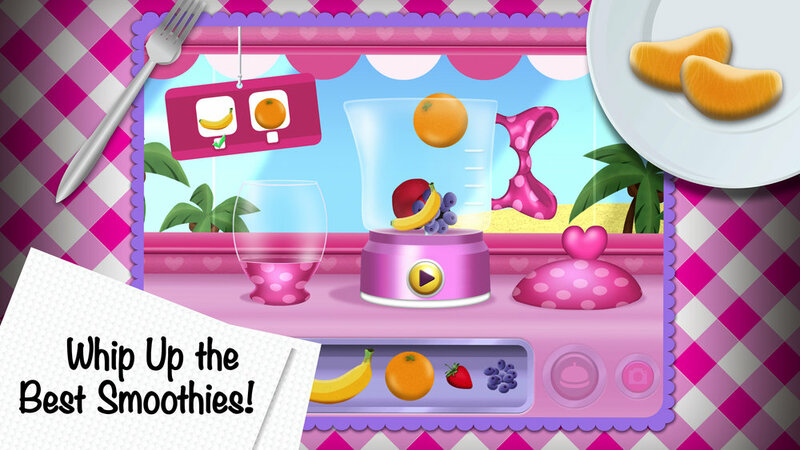 Learn and create through imaginative story play. 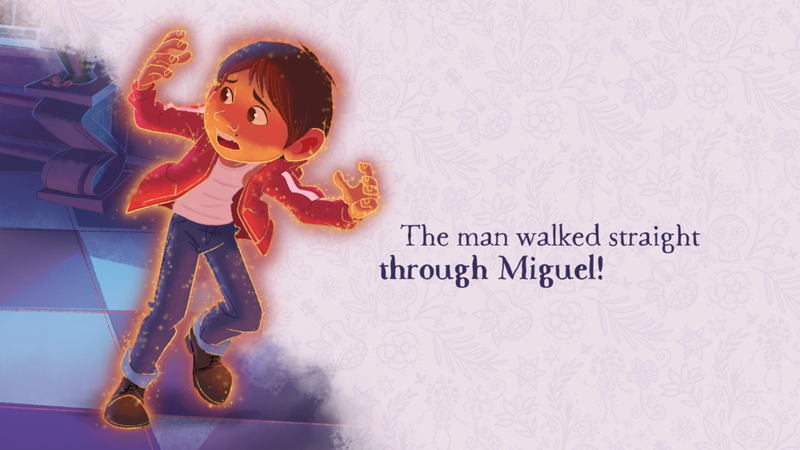 Record your voice, move the characters, and watch your story come to life. 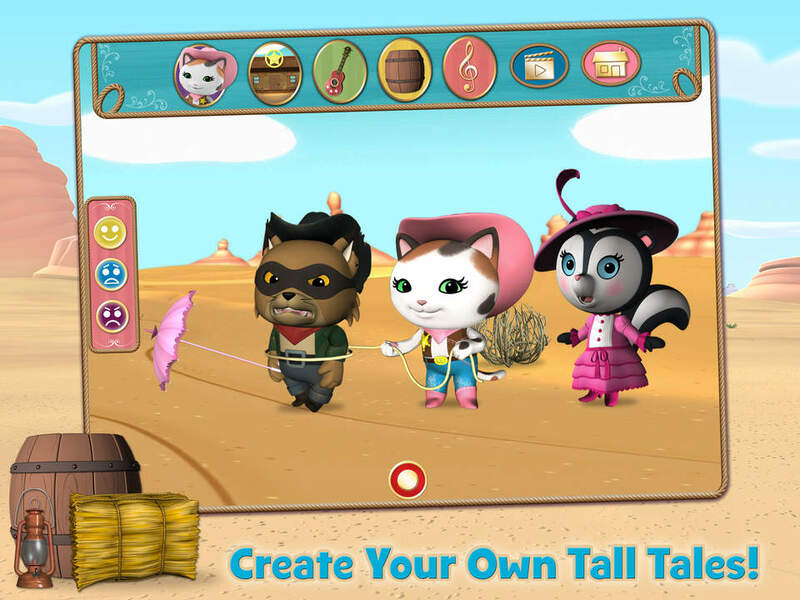 The toys are back in an all new adventure--created by YOU. 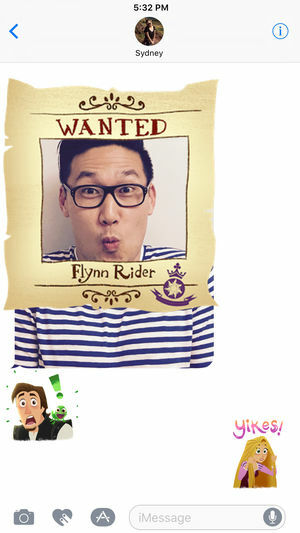 Make your very own animated movie starring Buzz, Woody, Jessie, and the gang. Choose your setting, characters, props, and actions--then record your voice to bring it to life. Simple puppet theater tools make it easy and fun to imagine and play. With Toy Story: Story Theater even little storytellers can share their great big ideas, again and again. 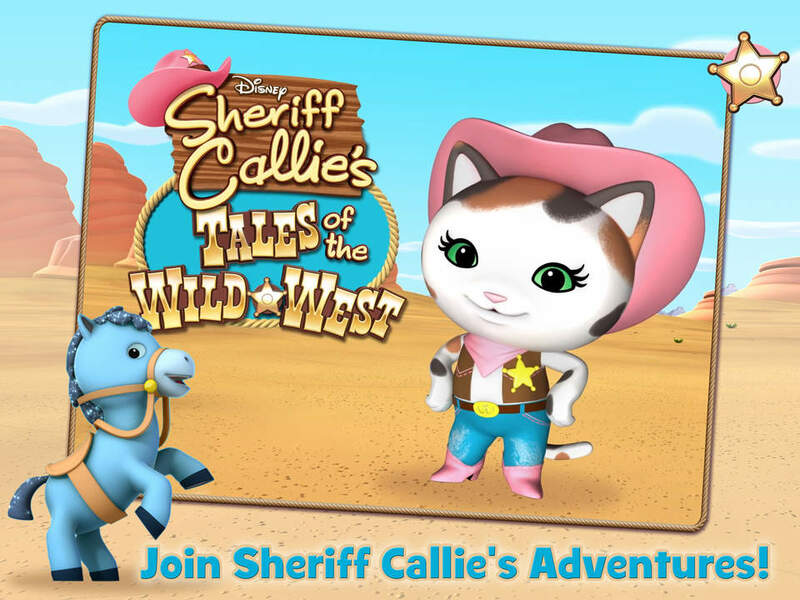 Giddy up for ALL-NEW Wild West adventures with Sheriff Callie and her friends: Sparky, Deputy Peck, Toby, Dirty Dan, Dusty, Priscilla, and a whole heap of other folks from Nice and Friendly Corners… and a couple of ne’er-do-well bandits, too! 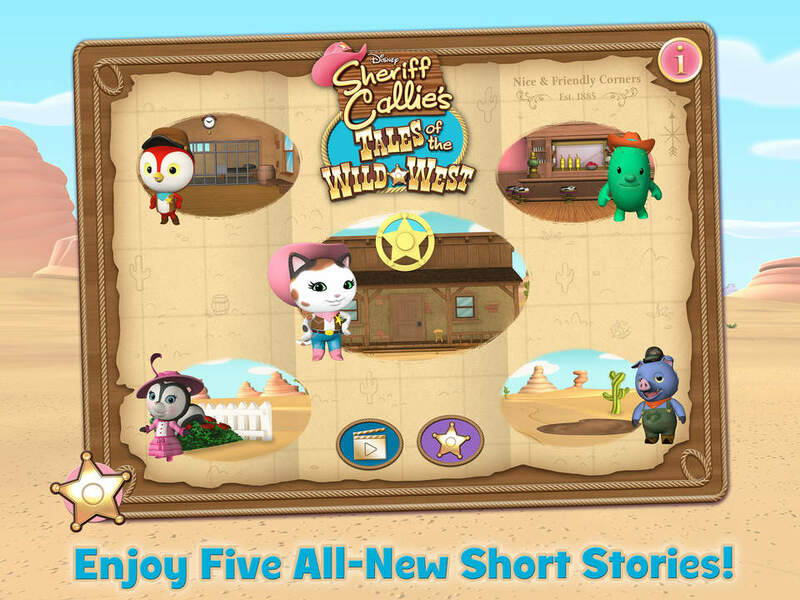 Read along with narrated Wild West stories, then create your own ending to the story! 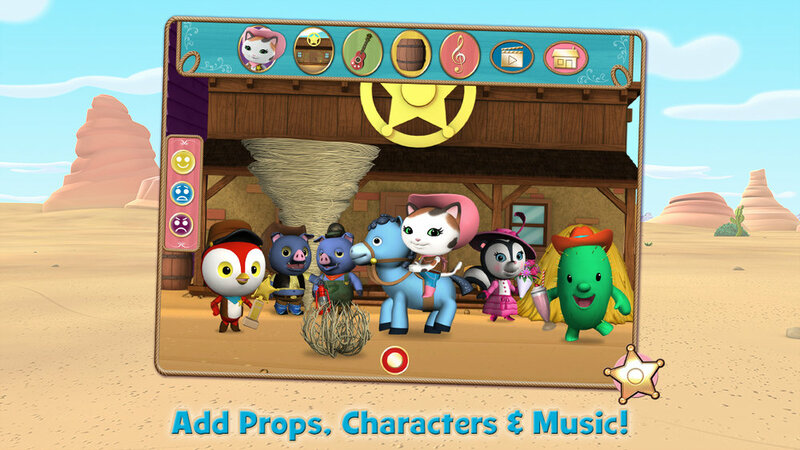 Choose characters from the show, add props, select a location, choose your music, animate the action just like a puppet show, and even record your own dialogue. 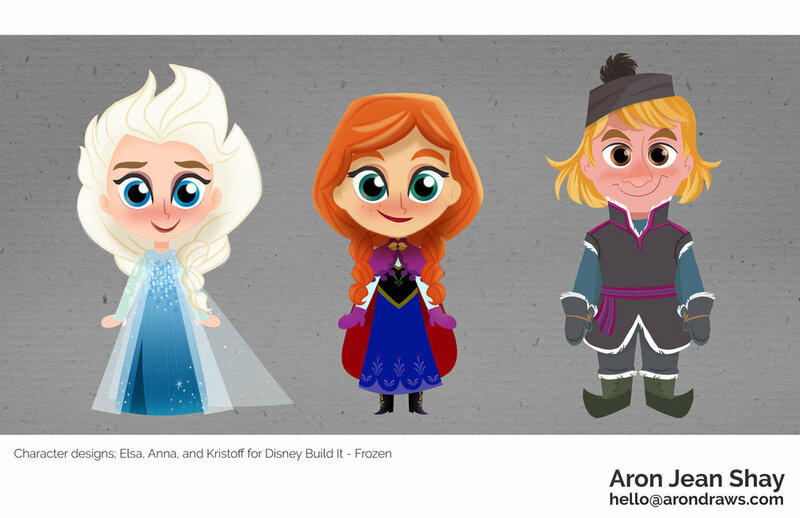 In Disney Build It: Frozen, players can make Frozen-themed snow globe worlds by creating and customizing buildings, such as Elsa’s Castle, Wandering Oaken’s Trading Post, Arendelle towers and more, with different colors and decors. Once a building is completed, players are rewarded with magical snowflakes that create props like snowmen, trees and lakes when matched together.